The SmartJack™ system provides solid support for sagging and undersized beams, restoring stability and straightness to sagging floor joists in a crawl space. Because of its design, the SmartJack™ can be adjusted over time to provide additional straightening and leveling action if necessary. The SmartJack™ is also compatible with a crawl space vapor barrier system, allowing you to address crawl space mold and humidity issues while repairing your structural issue. 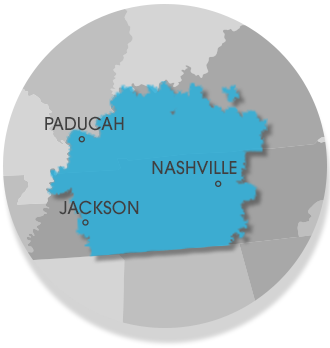 We serve Clarksville, Nashville, Jackson, Bowling Green, Murfreesboro, Owensboro, Utica, Fayetteville, Marion, Philpot, [state 1] and many nearby areas in Tennessee and Kentucky. The SmartJack™ is also compatible with crawl space encapsulation systems, making it a good choice for homeowners wishing to eliminate moisture problems and improve home energy efficiency, while also solving structural problems. If your crawl space is sinking or sagging, we at Frontier Basement Systems are here to help.